American Express Global Business Travel (GBT) has been appointed to provide travel management services to the Carlsberg Group, covering its meetings and events. 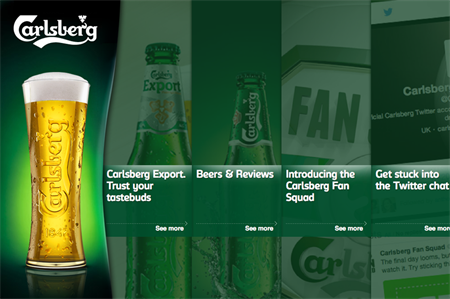 The programme, which will also cover consulting services, CSR and dedicated service teams, will help Carlsberg to drive continuous improvements in its business travel programme and maximise its business travel spend. The markets where American Express will be providing support include Denmark, Finland, Germany, Italy, Norway, Sweden, Switzerland, and the UK, all of which went live on 1 September. Dan Håkansson, MD of Nordics, American Express Global Business Travel, said: "GBT’s ability to deliver consistent service across the world, relevant consulting capabilities and the testimonials provided by our customers are some of the reasons why the Carlsberg Group selected GBT as their global travel management partner." "The Carlsberg Group also recognises that we are very well positioned to support its focus on globalising, optimising, centralising and standardising processes, which they believe will help them deliver a best-in-class business travel programme for their travellers as well as for the company overall. "Needless to say, we are absolutely delighted and proud to have been selected to deliver travel management services to a world-class company like the Carlsberg Group and we look forward to supporting them both at a global and local level."